Bring simple elegance into your home with the Bay Ridge 2 Piece Cream Sectional by Washington Furniture. 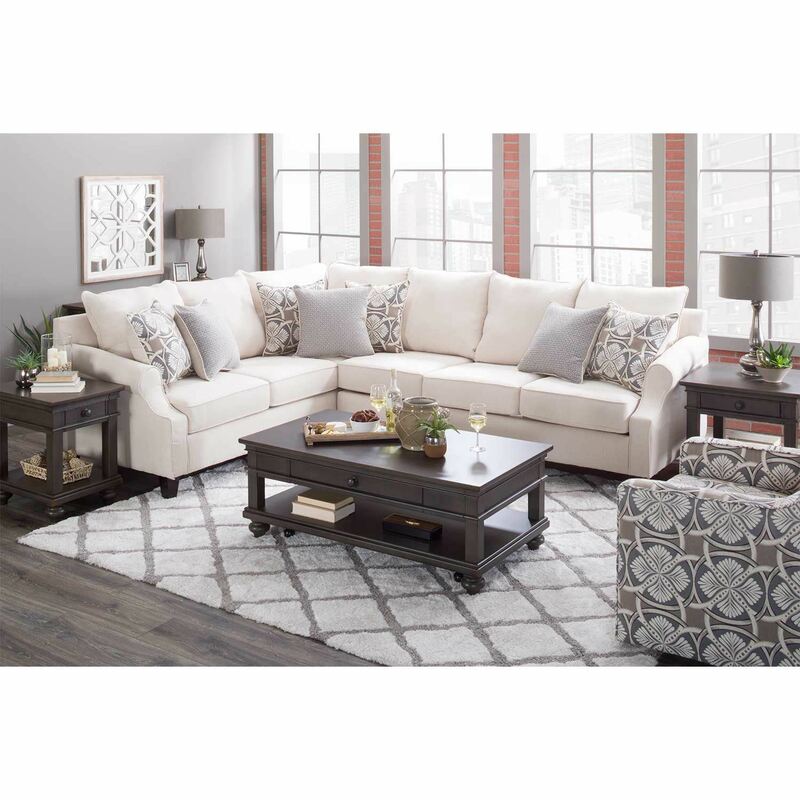 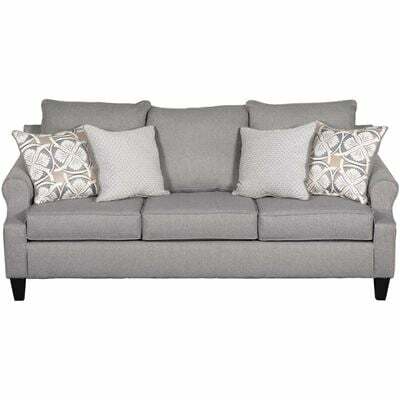 This sectional features a relaxed, modern silhouette with clean lines and scooped track arms, all in a compact frame perfect for your small space. 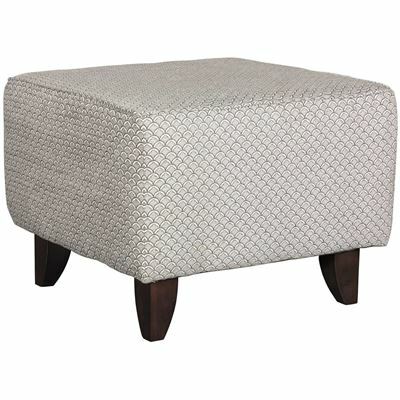 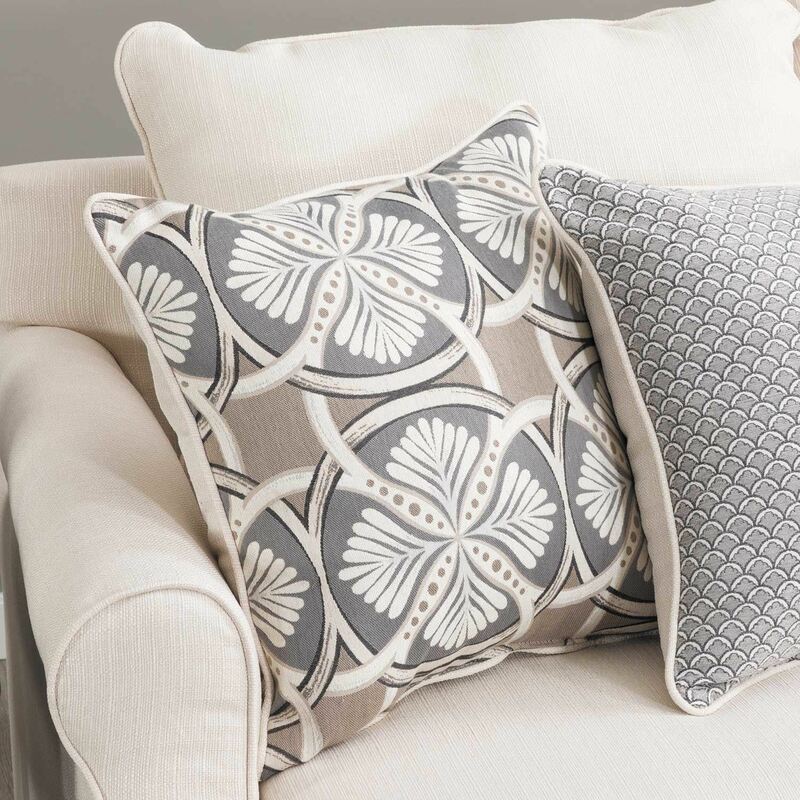 Linen-textured cream upholstery works with the patterned accent pillows to complete the refined look. 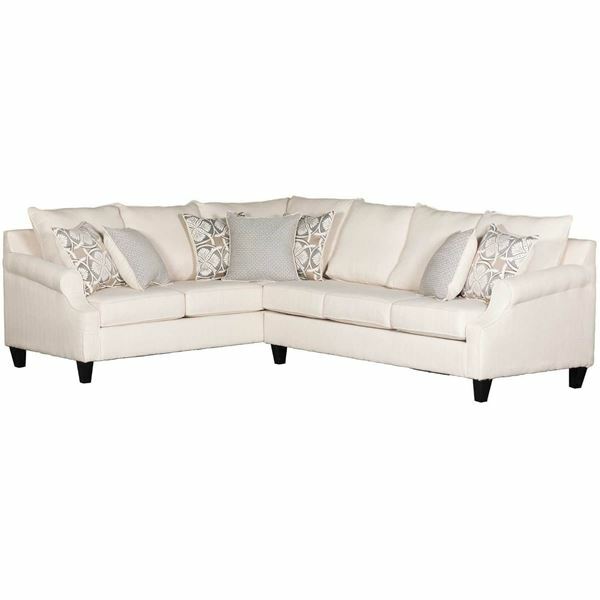 Bring simple elegance into your home with the Bay Ridge 2 Piece Cream Sectional by Washington Furniture. 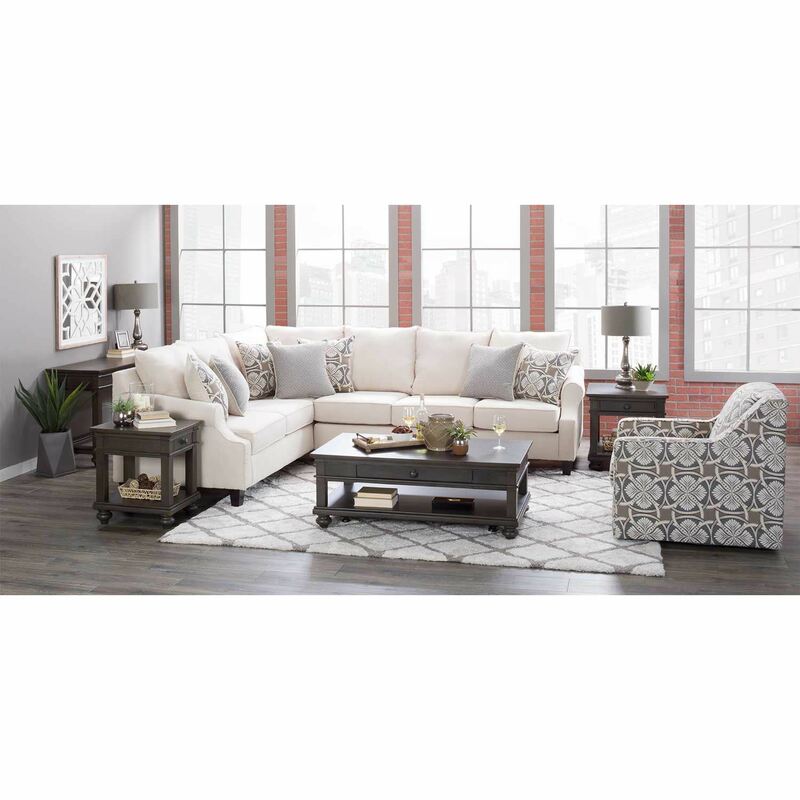 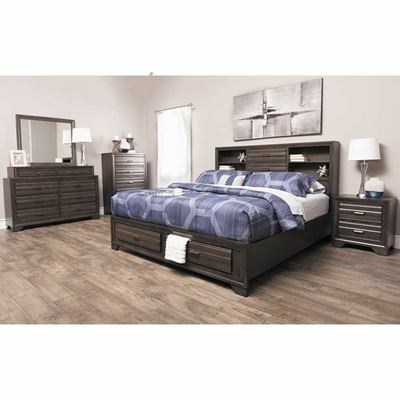 Bay Ridge 2 Piece Cream Sectional from Washington Furniture. 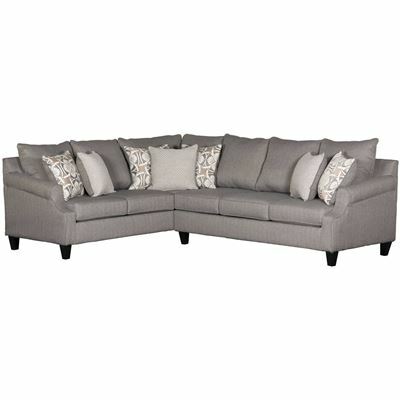 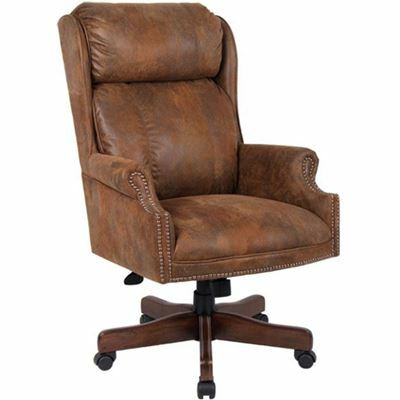 Sectional is covered in a cream polyester fabric.